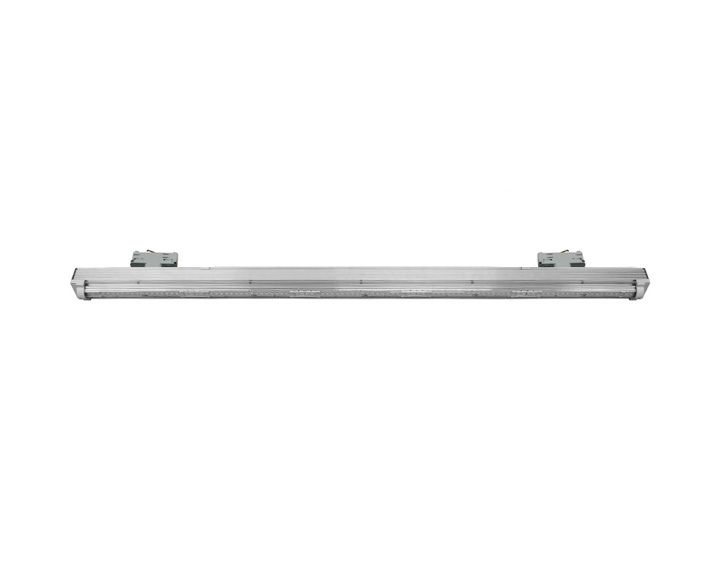 Track mounted linear luminaire highly suitable for lighting tasks in the logistic & industrial, DIY and retail sectors. Lenyk PC TRK has LED modules encased in a clear polycarbonate case, placed on a sleek and modern aluminum housing, that blends with all the industrial environments. Lenyk PC TRK provides optimum lighting and the injected polycarbonate casing offers high mechanical strength and shock resistance. The track-mounted solution brings enhanced flexibility to space illumination. The track allows for T, L and X connections.